This week on NVTC’s Blog, Business Development, Marketing & Sales Vice Chair Jenny Couch of member company Providge Consulting shares potential benefits and risk factors of outsourcing your tech department. Maintaining an in-house IT department is the right decision for many businesses, especially those where IT is a central, or critical aspect of the business. But for many companies, maintaining an IT department that is fully equipped to tackle any IT need your company may encounter can be costly and inefficient. Outsourcing certain functions of your IT department may deliver a number of benefits to your company. But, in assessing whether outsourcing is the right decision for your company, you should also consider the potential risks. Let’s take a look at some of the potential benefits, and consider some risk factors of outsourcing your tech department. Accommodate shifting projects and priorities. IT needs fluctuate constantly. It may be difficult to shift full-time employees who were hired for a specific skill set around as your company’s IT needs change. By outsourcing, you can easily accommodate changes as your IT projects and priorities shift. Deploy resources where you need them, only for as long as you need them. Going through an operating system upgrade? Implementing a new ERP system? These are projects that will require a temporary increase in resources. Hiring full-time employees to fulfill short-term needs is expensive, and time consuming. Through outsourcing, resources can quickly be scaled up and down to accommodate project needs, or occasional increases in departmental workloads. Gain access to talented specialists. Certain IT functions, or software require support from highly-qualified specialists. These specialists often have years of experience, extensive training, and a hefty price tag. Bringing them on full-time is expensive. And that’s if you can even find such specialists in the first place. By relying on an external vendor who will either already have these specialists in-house, or experience recruiting these specialists you can drastically reduce the time and money involved in recruiting and retaining such specialists. Free up internal resources. Roles and responsibilities change over time sometimes for the better, sometimes for well, the not-so-better. Your IT team may have picked up responsibilities overtime they were never supposed to support, thereby neglecting their original scope of responsibility. By outsourcing certain functions, especially those functions that can be easily outsourced, your staff can gain back the critical time they need to perform their role effectively. Cost savings. 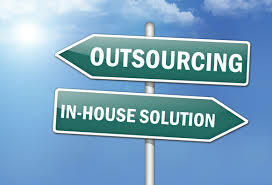 Ultimately, when done right, outsourcing your IT needs, can significantly reduce you IT costs. If you’re able to better accommodate shifting projects and priorities, deploy resources where you need them for as long as you need them, gain access to talented specialists when needed, and free up your internal resources, you can reduce costs across the board, and improve the effectiveness of your overall IT department. Your vendor’s approach and plans may not align with your strategic plan. Are you planning to rely on an ERP system to support your back-office functionality? Is there a desire to move to the cloud now or in the future? What are your plans for scaling and growth? Before you consider outsourcing IT functions you need to have a thorough strategic plan laid out so you can understand where an outside vendor could provide support. If you simply start trying to outsource an IT function without considering your longer term plans, you run the risk of engaging a vendor that is not aligned with your strategic vision. Some IT functions can’t be easily outsourced. Some IT functions lend themselves naturally to outsourcing. Project management support, help desk support, etc. But other functions don’t fit so naturally with outsourcing. If you are considering outsourcing, it’s important to fully evaluate the ease with which you might be able to outsource the function, as well as whether you will easily realize benefits by outsourcing that particular function. Employee morale may drop. If you plan to cut current staff to accommodate a transition to outsourced tech support, you need to be prepared for decreased morale amongst remaining staff. Lay-offs are never easy, especially if cuts are occurring purely to save costs by outsourcing certain functions. You run the risk of “getting stuck”. One of the things we emphasize at Providge is documentation and training. We do this because, consultants, and consulting companies, by nature are a finite resource. Eventually, we will leave. The project will wrap up, or the additional support will no longer be needed. If the efforts undertaken by your consulting team during their engagement are not well documented, and/or no training has taken place with your team you may find you have to continue to to unnecessarily rely upon your vendor. No documentation? No training? Get used to the extra bodies in the office. This post was written by Jenny Couch. Couch is a project management consultant, and Providge’s Business Development Manager. She loves efficiency, to-do lists, and delivering projects on-time and on-budget. Is It Time for Your Technology Firm to Rebrand? This week on NVTC’s blog, Elizabeth Harr of Hinge Marketing discusses 12 signs that it’s time for your technology company to rebrand. Your technology firm’s brand is your most valuable asset. But many firms don’t make effective use of their brand or — worse — don’t have a well-developed brand in the first place. Your brand is the totality of how your audience sees, talks about, and experiences your firm. This combines everything from your firm’s visual branding—like your logo and web design—to each idea, strategy and interaction you use to connect with prospects and clients. But despite all these advantages, if you’re like many technology firms, you’ve probably been able to grow without having a well thought out brand development strategy. Your growth has come fairly naturally, thanks to your referral network and the acquisition of a few major contracts. However, this passive strategy is rarely sustainable over time. To continue growing or to accelerate your growth, it’s time to start making your firm’s brand work for you. Are you getting fewer leads than in the past? When your leads begin decreasing, it may be a good sign that your brand is no longer resonating with prospects. Rebranding can help your firm appeal to your audiences. Are you entering a new market? Entering into a new market is the perfect time to start fresh with a new brand. You can reestablish the strength of your brand alongside your new competitors. Are you introducing new services? When your firm goes through a significant change, you want to make sure your brand still reflects your firm’s new focus. If it doesn’t, it may be the perfect time for a rebrand. Has your firm’s growth slowed or stopped? This could be an indicator that it’s time to switch things up with a stronger and more carefully developed brand that clearly communicates your expertise and capabilities. Have new competitors entered the marketplace? A changing marketplace and new competition may mean your current branding will no longer do the trick. Undergoing a rebrand can help you stand up to changing demands. Does your visual brand look tired compared to the competition? If all of your competitors have moved forward with a strengthened brand, you don’t want to be left behind. Your firm’s visual branding elements (like your name, logo, tagline, and colors) communicate your brand and should be reviewed periodically for updates and consistency. Do you struggle to describe how your firm is different? Having a specialty or something to differentiate your firm from the competition is an important part of connecting with your target audience. A well thought out brand is the first step is portraying what makes your firm special. Are you losing a higher percentage of competitive bid situations than in the past? This is a strong indicator that it’s time to make a change. Measuring your current success against past victories can provide valuable insight into how your firm is continuing to grow. Has your firm changed significantly since you last adjusted your brand? Growth and change are inevitable—just make sure your brand continues to grow and evolve along with your firm. Are you struggling to attract top talent? In order to be a top technology firm, you need to have top talent working for you. If a weak brand is keeping your firm from attracting top employees, it might be time to rebrand. Have your clients changed considerably? You originally developed your brand with a specific client base in mind. And now those clients have changed. Their challenges and needs might have changed — and they may be searching for service providers differently. Your firm’s brand should change with them. Are you trying to figure out how to take your firm to the next level? If you’ve been asking yourself how you can accelerate your firm’s growth or reach the next level of your potential, a fresh rebranding could be the right place to get started. If you nodded along to questions on this list, then you have your answer: it’s time for a rebrand. While it may initially be a challenge to get your firm executives and decision makers on board for your rebrand, an honest assessment and clear-cut plan can help overcome any initial internal reluctance. It may seem like a lot of work at first, but the benefits of rebranding will be well worth it. 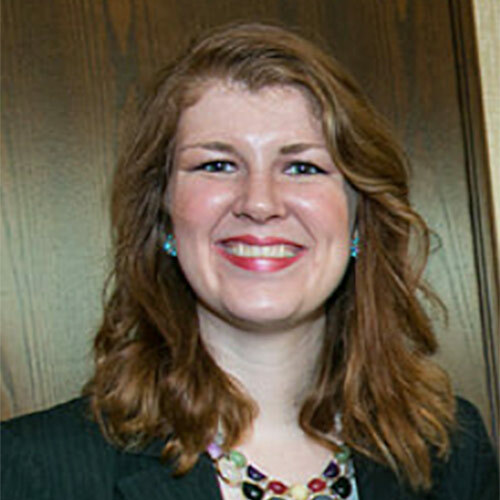 Elizabeth Harr is a partner at Hinge, a marketing and branding firm for professional services. Elizabeth is an accomplished entrepreneur and experienced executive with a background in strategic planning, brand building, and communications. She is the coauthor of The Visible Expert, Inside the Buyer’s Brain, How Buyers Buy: Technology Services Edition and Online Marketing for Professional Services: Technology Services Edition.